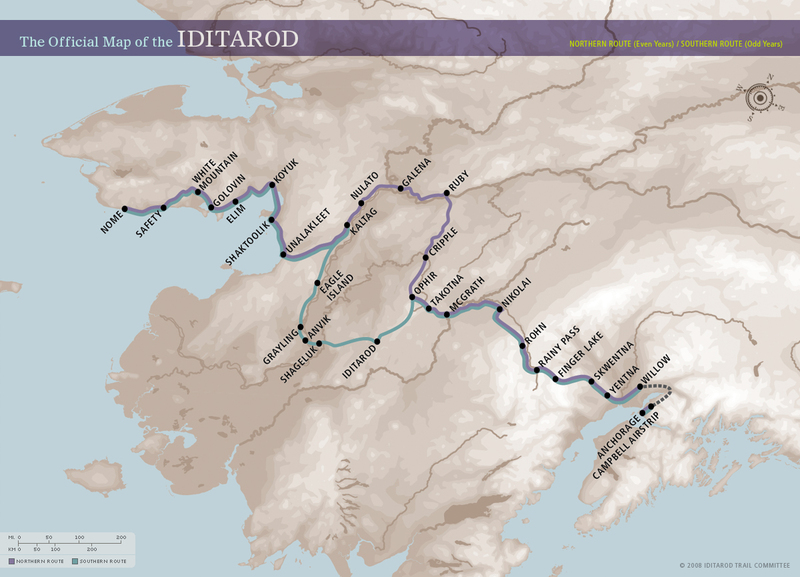 The 41st running of the Iditarod kicked off this morning in Anchoage, Alaska and this year they went mobile! The Iditarod, the Last Great Race on Earth, is a 1,049* mile sled dog race that starts the first Saturday in March. The first race was held in 1973. An average of 65 teams start the race in Anchorage and each team of 12 to 16 dogs & its musher cover the route to Nome in 9 to 17 days. *The route is not a exactly 1,049 miles because there are two routes and the trail is not permanent. Since it was originally a little over 1,000 miles and Alaska is the 49th state, it’s symbolically stated as 1,049 miles. Unless you attended the race or were in Alaska at the time, you probably saw little to no coverage of the race. Several years ago, they offered video-on-demand (streaming) during the race to Iditarod Insiders ($20 annual subscription). These are short, 2-minute video news clips uploaded during the race. Two to three years ago, they streamed the race start and finish, but it wasn’t available to Apple’s mobile devices. This year, the website supports mobile devices and both the ceremonial start and the restart worked perfect on an iPad-to-AppleTV setup. 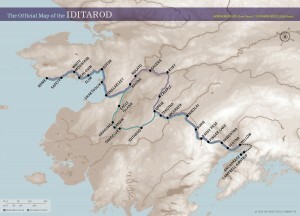 Kudos to the Iditarod Trail Committee for supporting mobile. I’m very happy with what I’ve seen so far. This entry was posted in Dog Stuff and tagged Iditarod on March 2, 2013 by Dog Father.